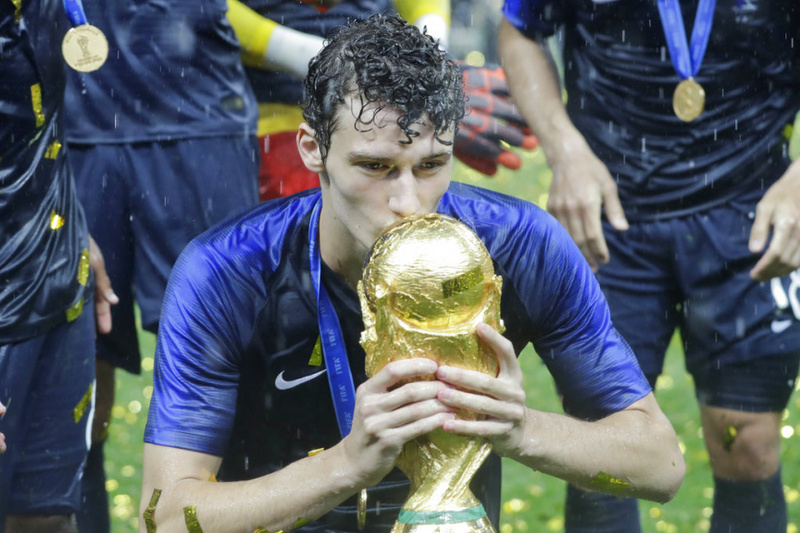 ZURICH (AP) — Benjamin Pavard has beaten Juan Quintero into second place in a fans' online vote to pick the best goal of the World Cup. France defender Pavard's spinning right-foot shot against Argentina in the round of 16 came top out of 18 candidates for the award. FIFA says more than three million votes were logged on its website. Pavard turned around France's fortunes, minutes after the team trailed for the only time in the tournament. His goal leveled the score at 2-2 before France went on to beat Argentina 4-3. France went on to win the tournament, beating Croatia in the final. Quintero scored for Colombia with a slow-rolling free kick under a jumping Japanese wall of defenders in a group-stage game. Luka Modric's long-range goal for Croatia against Argentina was voted into third place.